Bring a young, contemporary and cool vibe to the festive look with this blue Double Layered Cold Shoulder Tunic. 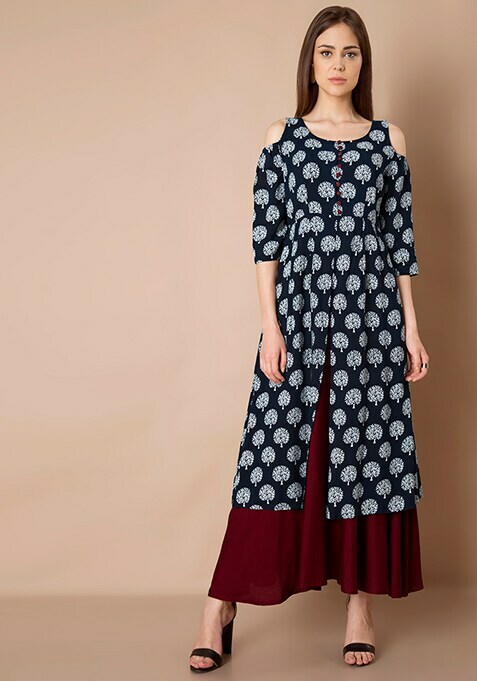 Enhanced with tree print, fabric button details and an oxblood viscose skirt, it's an ultimate show stopper. Work It- Complement it with sleek hair and block heel sandals to elevate your fusion look.